The years I spent in college were some of the most fun, exciting years of my life. I was blessed with wonderful roommates, friends, and a lot of great memories. Many of my college memories are associated with sports. I made it a point every year to purchase an "All-Sports Pass" so that I could attend as many sporting events as possible. March Madness was an especially exciting time of year. One year, my roommate and I used a dry erase marker to write our bracket predictions all over our apartment window. Another time, some of my friends and I took a road trip to Las Vegas to watch our basketball team play in the NCAA tournament. And of course there were lots of "game-watching" parties complete with pizza, chips and dip, ice cream and all the other junky foods college kids love. In honor of March Madness, I decided to do a little research on college campus food. It turns out that not all college students eat "junky" food. In fact, there are several colleges known for their fine dining and cuisine. After reviewing several "Best Colleges for Food" lists, here are a few of the most well-known. Virginia Tech - Virginia Tech made the top of the list on two different surveys I looked at. This school is passionate about food, especially the sustainability of their food resources. They have a "Farms & Fields Project" venue that supports local, organic, sustainable food sources. They also have their own Meat Science Center where meats are produced and processed on campus. They have a fun dining program where students can take a faculty member out to lunch once a month on the university's budget. On campus, you will find dishes like whole-wheat penne pasta with sun-dried tomatoes, sautéed chicken breast, prosciutto, and gorgonzola. You might also want to try their apple chutney and Cheddar panini - organic Granny Smith apples with onion, red-wine vinegar, brown sugar, orange peels, fresh ginger, and local cheese served on locally made organic bread. 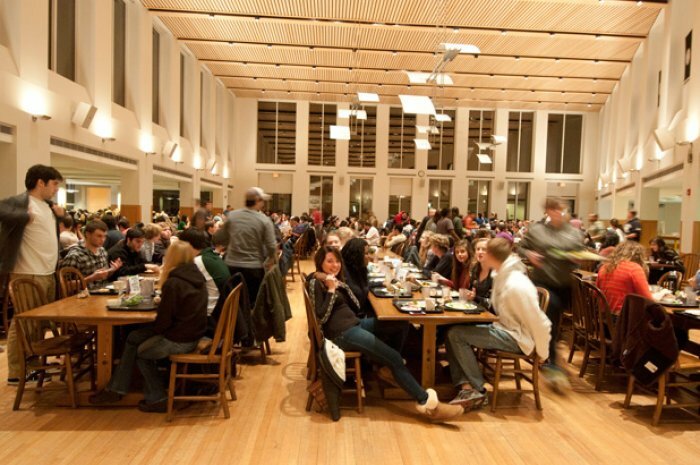 Bowdoin College - This small, private college in Brunswick, Maine claimed The Daily Meal's number one spot for Best College for Food in 2013 and 2014. This school also supports local, organic foods and meat. They have an on-campus Farmer's Market and a huge school garden that produces hundreds of pounds of produce a year. There is also an on-campus bake shop and meat shop. They work hard to make sure each student's dining experience is welcoming and comfortable. They prepare their food in small batches so it's always fresh. They hold a lobster bake each year that is attended by all of the students and faculty. On this campus, you will find dishes like mussels in butter sauce, haddock with jalapeños, squash fettuccine, and roasted root vegetables with polenta. And you might want to stop by the bake shop to try a slice of pumpkin pie made from the fresh pumpkin grown on campus. Washington University in St Louis - This university is passionate about food; especially teaching their students about food. Studio 40 is an open-kitchen where students can take cooking classes and watch the chef prepare meals. They host a variety of themed events like Dr. Suess Day, Moonlight Breakfasts, Dine with a Dietitian, and Low Carbon Diet Day. On this campus, you will find dishes like blueberry crepes, vegetarian chorizo and potatoes, and orange pork stir-fry, with vegan, kosher, and halal options available. You might also want to check out the Bear's Den, a restaurant that features two Tandoori ovens and trained chefs from Pakistan and India. UCLA - The University of California Los Angeles also ranks high for best food. 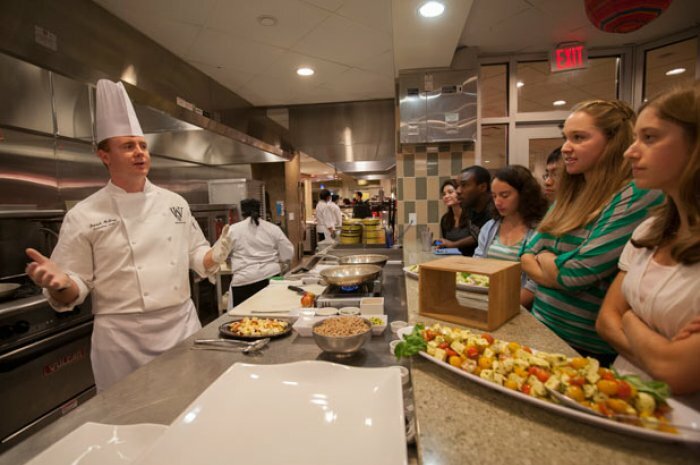 The university's dining services focus on acquiring the best ingredients and making their food fresh. They also invest time and money into making ethnic foods as authentic as possible by utilizing student panels and field research. Health is important to UCLA. In 2012, UCLA won PETA's award for the most vegan-friendly campus. They have programs for teaching students to eat healthy and the campus dietitian is readily available to meet with students and answer their questions. On this campus, you will find seafood pizza, chicken and dumplings, and chicken chili verde. And you will likely want to stop by FEAST, an Asian restaurant, that features a rotating menu of Chinese, Japanese, Thai, Vietnamese, Korean, Indian, and Hawaiian food. This facility has created over 1,500 recipes in two year, so you're sure to find something you'll like! There are dozens more colleges on the list, but not enough time or space to cover them all. 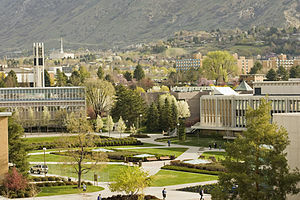 But in closing, I do have to mention my alma mater, Brigham Young University. BYU ranked 48 out of 75 Best Colleges for Food in 2014. 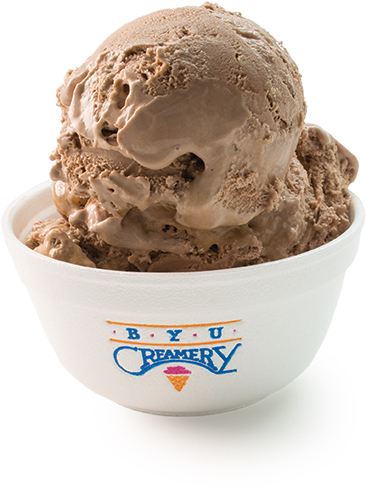 BYU's campus is known for their creamery and full-service campus grocery store (the first on-campus college grocery store of its kind in America). They also offer a wide-range of food and dining options. My personal recommendation would be to stop by the Creamery on Ninth for a scoop of their Earnestly Chocolate ice cream. Where did you go to college? What are your favorite campus foods? Happy March Madness!